Oh…how quickly things change. It looks like we are staying. I am relieved. We have been here for fours years. It has provided us with some much needed stability. We are getting excited and we hope you pray for us. 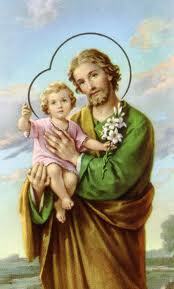 If you are not too busy, you can come and plant a Saint Joseph in our yard!